Keeping in mind the rising rate of K-12 enrollment, and the increased demand for online teachers, the need for professional development of online teachers is keenly felt. The skills needed for teaching in face-to-face environments are not always transferable to online settings. There is a pointed change in the way teaching takes place in an online format, which calls for an understanding of teacher roles and the competencies prompted by this paradigm shift. A lack of understanding of the pedagogical transformations required by online teaching could lead to teacher stress. The purpose of this study was to understand the extent to which educators teaching in K-12 online settings in Ohio are equipped to work in such environments by relying on specific competencies and skill sets. This understanding would then enable the development of programs designed to address their professional development needs. Roy, M. & Boboc, M. (2016). Professional Development Needs of Online Teachers. 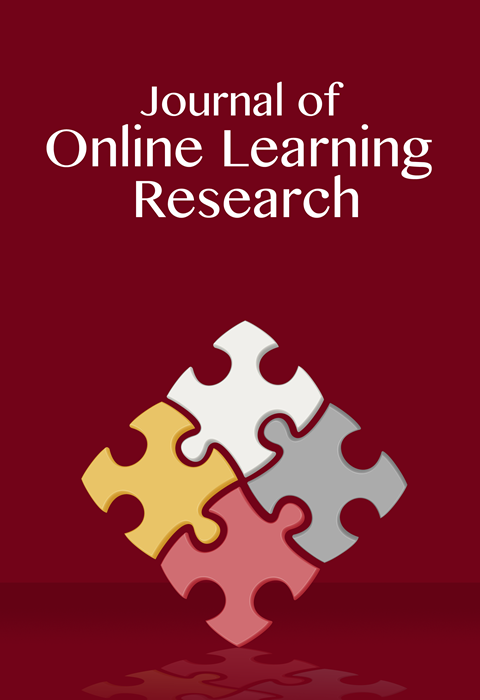 Journal of Online Learning Research, 2 (3), 283-302. Waynesville, NC USA: Association for the Advancement of Computing in Education (AACE). Retrieved April 21, 2019 from https://www.learntechlib.org/primary/p/172451/. Bennett, S., & Lockyer, L. (2004). Becoming an online teacher: Adapting to a changed environment for teaching and learning in higher education. Educational Media International, 41(3), 231-244. Bradburn, N.M., & Sudman, S. (1988). Polls & Surveys: Understanding what they tell us. San Francisco: Jossey-Bass Publishers. Bransford, J., Brown, A., & Cocking, R. (1999). How people learn: Brain, mind experience and school. Retrieved from http://www.nap.edu/html/howpeople1 Brennan, R. (2003). One size doesn’t fit all: Pedagogy in the online environment-volume 1. Leabrook, Australia: National Center for the Vocational Educational Research. Birman, B., Desimone, L., Garet, M., & Porter, A. (2000). Designing professional development that works. Educational Leadership, 57(8), 28-33. Clark, T. (2001). Virtual schools: Trends and issues. Phoenix: WestEd /Distance Learning Resource Network. Common Core State Standards and Initiative (2016) Retrieved from http://www.corestandards.org/ELA-Literacy/introduction/key-design-consideration) Conceicao, S. (2006). Faculty lived experiences in the online environment. Adult Education Quarterly, 57(1), 1-20. Corcoran, T.B. (1995).Transforming professional development for teachers: A guide for state policymakers. Washington, DC: National Governors Association. Darling-Hammond, L., & McLaughlin, M.W. (1995). Policies that support professional development in an era of reform. Phi Delta Kappan, 76(8), 597–604. Davis, N.E., & Rose, R. (2007). Professional development for virtual schooling and online learning. Vienna, VA: iNACOL. Denzin, N.K., & Lincoln, Y.S. (2005). The SAGE handbook of qualitative research. Thousand Oaks: Sage Publications. Ferdig, R.R., Cavanaugh. C., Dipietro, M.C., Black, E.E., & Dawson, K.D. (2009). Virtual schooling standards and best practices for teacher education. Journal of Technology& Teacher Education, 17(4), 479-503. Goodyear, P., Salmon, G., Spector, J., Steeples, C., & Tickner, S. (2001). Competencies for online teaching: A special report. Educational Technology Research and Development, 49(1). Missing page numbers? Hillman, D.C., Willis, D.J., & Gunawardena, C.N. (1994). Learner-interface interaction in distance education: An extension of contemporary models and strategies for practitioners. The American Journal of Distance Education, 8(2), 30-42. Jaffee, D. (2003). Virtual transformation: Web based technology and pedagogical change. Teaching Sociology, 31(2), 227-236. Knowles, M.S. (1975). Self-Directed learning: A guide for learners and teachers. Englewood Cliffs: Prentice Hall/Cambridge. McIssac, M., Blocher, J., Mahes, V., & Vrasidas, C. (1999). Student and teacher perceptions of interaction in online computer-mediated communication. Educational Media International, 36(2), 121. Meloncon, L. (2007). Exploring electronic landscapes: Technological communication online learning, and instructor preparedness. Technical Communications Quarterly, 16(1), 31-55. Merriam, S.B. (2009). Qualitative research: A guide to design and implementation. San Francisco: Jossey-Bass. Miles, M.B., & Huberman, A.M. (1994). Qualitative data analysis (2nded.). Thousand Oaks, CA: Sage Publications. Moore, M.G., & Kearsley, G. (1996). Distance Education: A systems View. Belmont, CA: Wadsworth Publishing Company. Palloff, R., & Pratt, K. (2007). Building online learning communities: Effective strategies for the virtualclassroom. San Francisco, CA: Jossey-Bass. Queen, B., and Lewis, L. (2011). Distance education courses for public elementary and secondary school students: 2009 10 (NCES 2012-008). Washington, DC: Government Printing Office. Reja, U., LozarManfreda, K., Hlebec, V., & Vehovar, V. (2003). Open-ended vs. Closeended questions in webquestionnaires. Advances in Methodology and Statistics (Metodološki zvezki), 19, 159-177. Savery, J.R. (2005). BE VOCAL: Characteristics of successful online instructors. Journal of Interactive Online Learning, 4(2), 141-152. Sieber, J. (2005). Misconceptions and realities about teaching online. Science and Engineering Ethics, 11(3), 329-340. Vaughan, N.D. (2010). A blended community of inquiry approach: Linking student engagement and course redesign. The Internet and Higher Education, 13(1-2), 60-65.